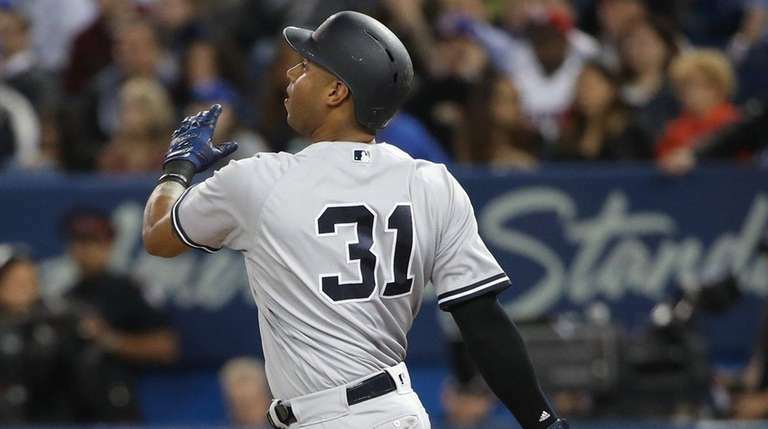 After a tough road trip where the Blue Jays went 3-6, the team returns home hoping to build some momentum on a 6 game road trip against division foes NY Yankees (tonight and tomorrow) and Baltimore Orioles. The Yankees are coming off a split of a double header yesterday vs. Detroit. Marco Estrada is hoping June will be a more positive month for him after compiling a 2-6 record with a 5.68 ERA through the first 2 months of the season. Marcus Stroman is taking another step in his rehab from shoulder inflammation as he is slated to throw three innings in a simulated game this week. Hopefully he'll be sent on a rehab assignment soon. Here is today's game recap. Marco Estrada had a great start tonight, pitching 7 strong innings and scattering 6 hits and 1 run over those innings. Estrada did well in mixing speed and location, keeping the Yankees batters off-balance. It's too bad reliever Sunghwan Oh could not hold the lead as he gave up a grand slam. Actually, only Tim Mayza had a clean inning. Seunghwan Oh coughed up the lead, giving up a grand slam after walking one and hitting Didi Gregorius in the foot. Aaron Loup walked a batter and gave up a three run HR. Joe Biagini gave up a single and threw a wild pitch. This is the direct result of the bullpen being way overworked and having some relievers (Oh and Loup, for example) struggling a bit. The Blue Jays don't have an off-day for 8 more days, so they need the starters to go deep.